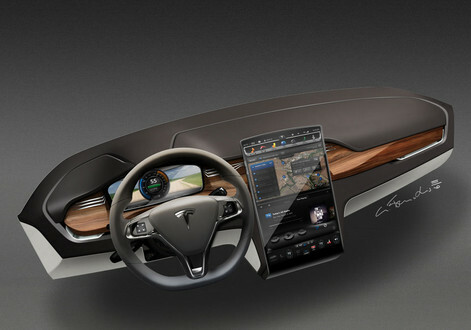 Unveiled yesterday, Tesla has done it again, this time with an electric crossover for the Porsche Cayenne crowd. Blend a sportscar, an SUV, a minivan and drop in a 4 wheel drive zero emission electric drive-train and you have the Model X by Tesla. 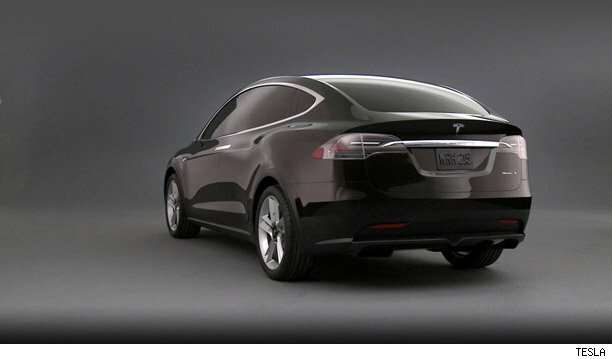 Production of Model X is scheduled for late 2013, with deliveries expected in early 2014. Priced similarly to the Model S electric sedan which start right around $50,000 before government rebates and go all the way up to $100,000 fully equipped. Boasting the latest in battery technology with available 60 or 85 kWh battery options, range is just a bit reduced from the Model S due to the heavier body. 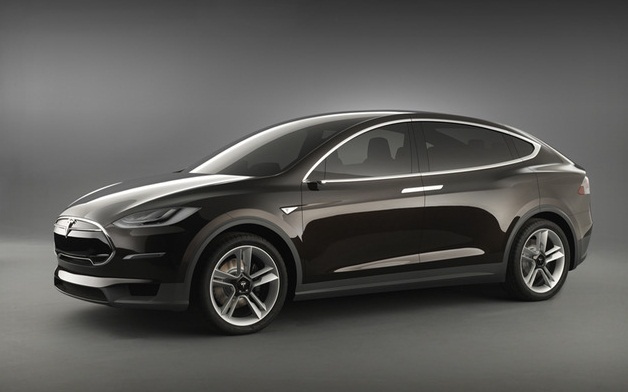 The Model X should come in right around 210 mi on a full charge for the 60 kWh battery or 270 miles with the 85 kWh battery. 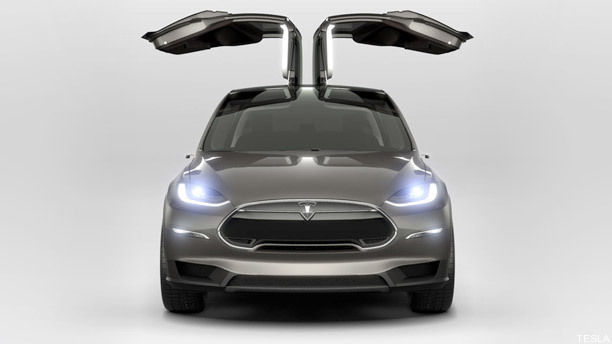 It boasts more than just an electric motor drive train and 4 wheel drive, it has innovative gullwing ‘Falcon Wings’ doors which will be appreciated by soccer moms and design enthusiasts alike. Pleasing on the eye and quite effective for easy loading, entry and exiting the vehicle, these doors open even in tight spaces.